What began as a personal challenge recently became a record setting milestone for Lagunas resident Caryn Steele. After hiking the Camino de Santiago in Spain last year, Caryn decided to attempt the recently established El Camino de Costa Rica (a challenging march from the Caribbean over the mountains to the Pacific). At this point, she didn’t realize she might be the first woman ever to complete the sixteen day hike in a continuous trek, in addition to knocking four days off by doing it in twelve! Compared to Caryn and her husband, Keith’s, 800 km trek in Spain last year, the 280 km el Camino de Costa Rica might sound easier. Except for the fact that, unlike the wide and well-marked Santiago, the trail here is often a narrow path up and down steep mountains, accessible only with a guide with a strong arm, and a sharp machete. The association sponsoring the hike arranges lodging and food stops along the trail with local residents. Hikers get to not only see Costa Rica in a way rarely seen by outsiders but they get to enjoy the warmth of Tico hospitality in an intimate and unique way. Asked about her preparations for the trek, Caryn said: “Eventually, your training should include steep ascents and descents, and in the full sun. Not particularly fun, but necessary!” She went on to say that what convinced her to hike the Camino was wanting “to be a part of what I was experiencing. It just felt different. 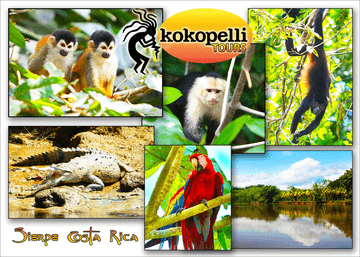 I was more relaxed and wide-eyed with everything new I was seeing!” When asked about the staff provided by the El Camino de Costa Rica Association, she said, “The guides are very knowledgeable about the Camino and personally know many of the people we met. They make sure everyone is taken care of. My final advice? DO IT! It is an incredible once in a lifetime experience”! 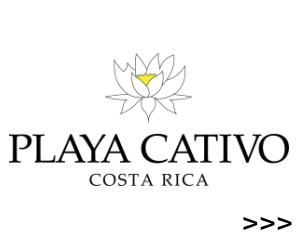 Posted in Activities, Costa Ballena, Costa Ballena, Costa Ballena, Environmental Initiatives, Initiative, Tourism & Entertainment and tagged activity, Costa Rica, hiking, Initiative, tourism.